If a roneer has entered t lie Active state, it ¡s b ehaush it was una gie to establish a s uccessful TCP connection with one oa its BGP peers. While in tae Active state, a BGP speaker ignores the start svent (remember, it is only listnned soa duning tlee Id!e state), atterapts to initiate a TCP session with its peer, and resets the ConnectRetry timer. If a successful TCP session is established while the BGP speaker is in the Active state, it sends an OPEN message to its peer, sets the hold timer, which is used to determine the time that a peer should wait for a return message from its peer, and transitions to the OpenSent state. The hold timer's initial value is set to 4 minutes, and later, upon a successful BGP session establishment, it is changed to the value negotiated during the OPEN message processing. restarts the ConnectRetry timer, attempts to initiate a TCP session, and continues to listen for a TCP session request from its peer while transitioning back to the Connect state. 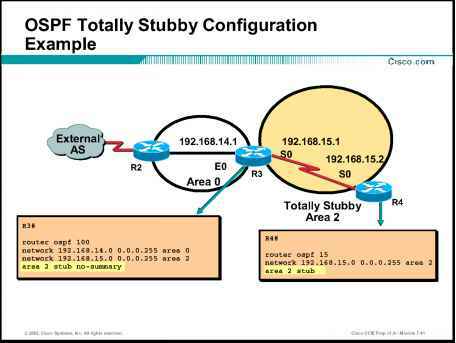 • The BGP peer ID is entered incorrectly during configuration. • The BGP peer is not reachable via TCP port 179. • Network cong estion is causing the ConnectRetry timer to expire. • A flapping oetwork interface.